Greetings from Braldt Bralds Studio! We’re excited! We have been receiving great interest from the national design market for our large format prints of Braldt’s work. 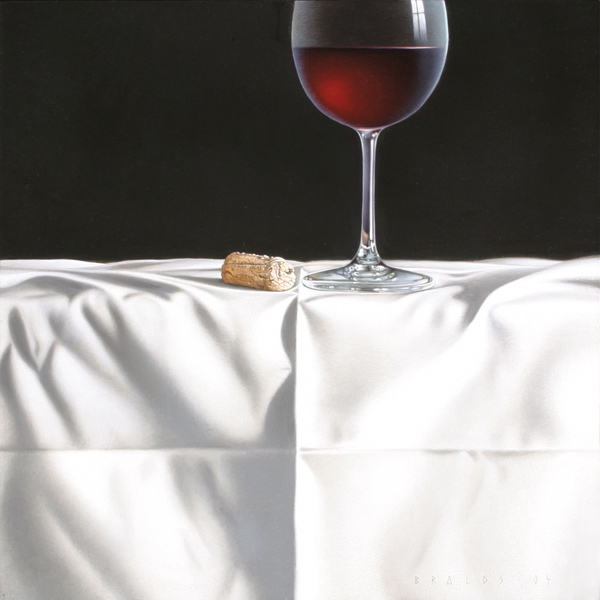 Commercial designers and private clients have responded with orders for his elegant, contemporary realism still life compositions. 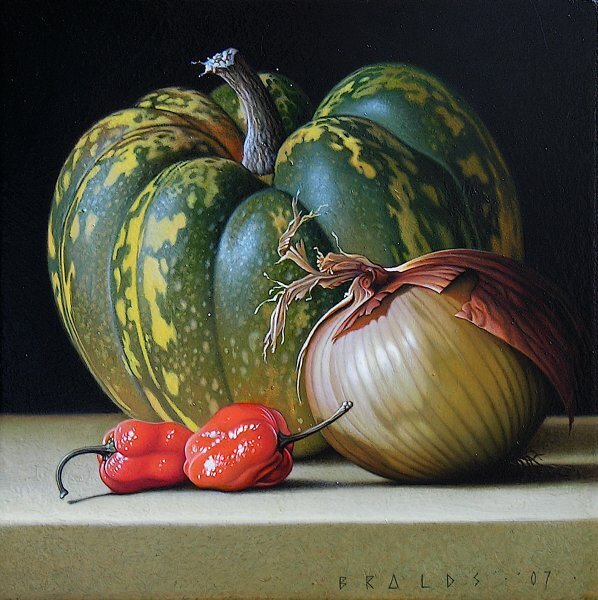 Some years ago, after a reflective conversation about food with the owner of the La Boca restaurant in Santa Fe, Braldt began a series of still lifes, portraitures of vegetables. Those images now enhance the atmosphere of the restaurant’s space in large format canvas prints, to the enjoyment of its diners. The exposure resulted in many print orders from the restaurant’s visitors, who now have their own fine art prints displayed in their homes. One of those visitors was the owner of a restaurant located in Oklahoma City, who subsequently installed a series of canvas prints, as well as a woven tapestry, in his restaurant, Tommy’s Italian Grill. Please visit the “Still Lifes” and “Designer Showroom” portfolios on our website. Most of the images you see on our website are available as prints in a spectrum of sizes on canvas, metal, and paper. We also can have woven tapestries produced from many of the images you will see. An example of a woven tapestry hangs in Taberna, a Santa Fe restaurant, and can be seen in the “Designer Showroom” portfolio. It measures 96”x60”, and is composed of more than 80 miles of thread! For further information and questions, please contact us. And thanks for visiting Braldt Bralds Studio. This is available in many sizes. A veritable symbol of abundance! Contact us to discuss the variety of sizes that are available.